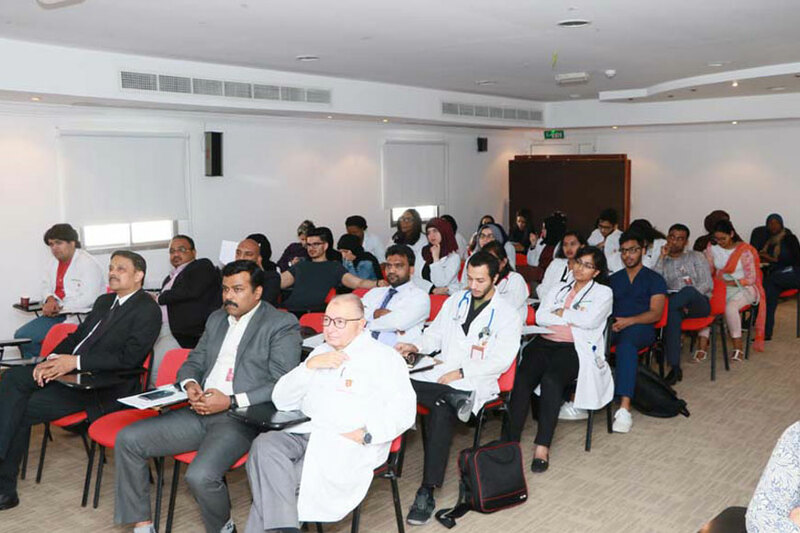 GMU students from the MBBS, PharmD, Physiotherapy, Imaging Sciences, Laboratory Sciences, and Nursing programs worked up a case titled “BILATERAL KNEE OSTEOARTHRITIS” collectively as part of the Inter-Professional Education activity and it was presented on March 11, 2019, at Thumbay Hospital, Ajman. Faculty and students from across programs attended this event. 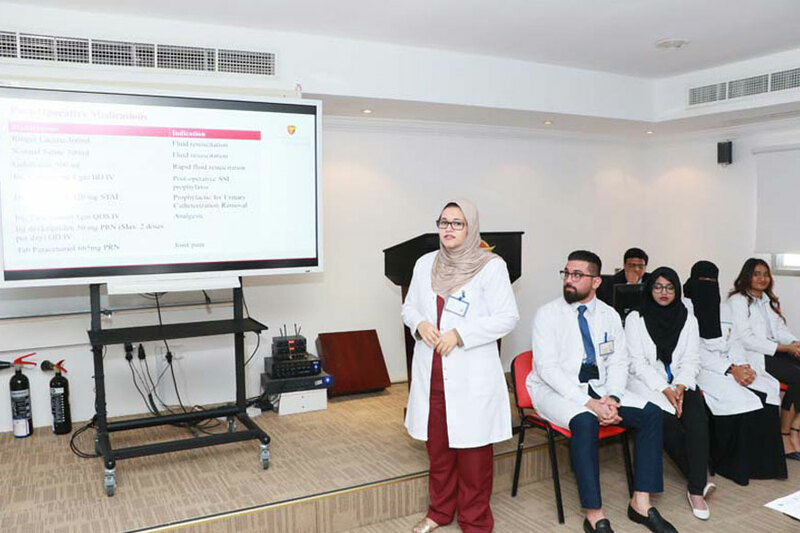 Dr. Mujeeb Mahammad Shaik, Clinical Assistant Professor, and Consultant, Orthopedics, Thumbay Hospital, Ajman was the faculty in-charge for this activity. 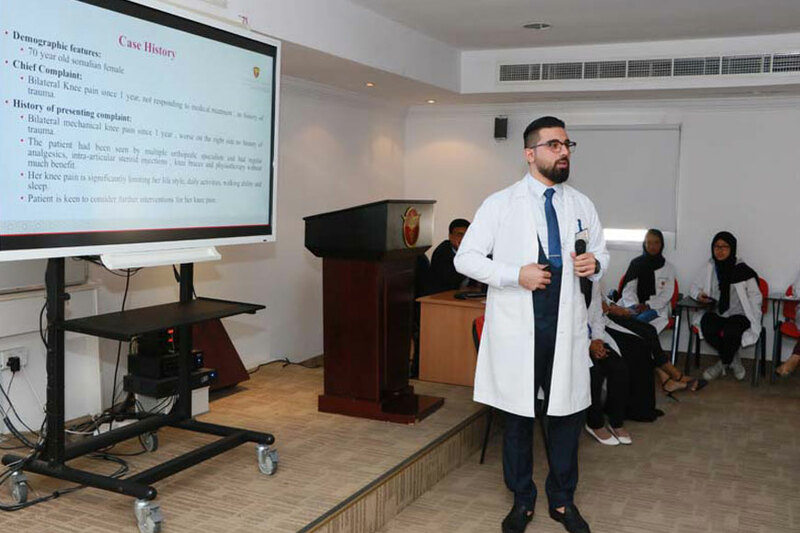 He moderated the session and appreciated the effort of students who worked together as a health care team and presented the case to the audience. 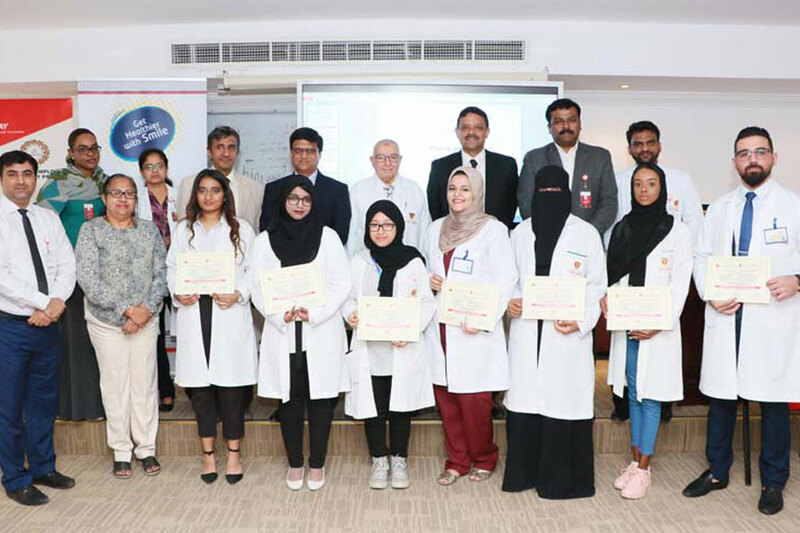 Prof. Elsayed Elzayat, Associate Dean Clinical & Chairperson, Inter-Professional Education appreciated the students for their hard work and awarded them with the Certificate of Appreciation.